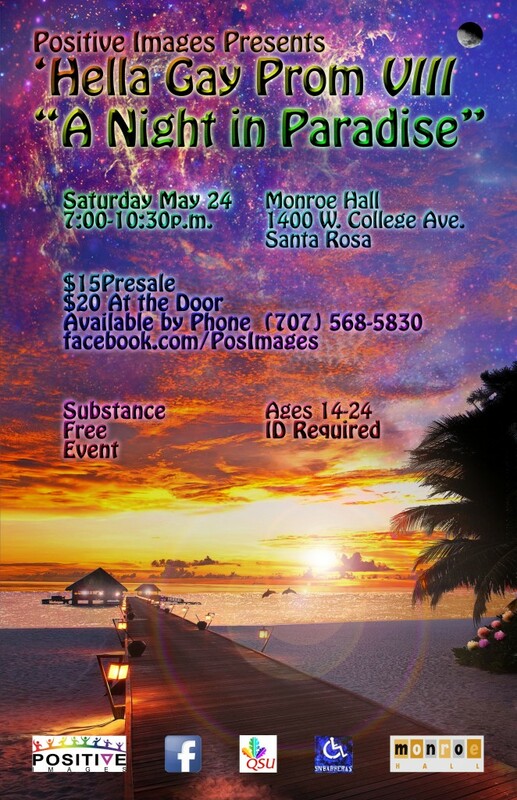 Join us for Hella Gay Prom VIII: A Night in Paradise! VISION: We envision a Sonoma county where all youth are valued, compassionate community members, creating a just society. MISSION: To provide support and advocacy to Sonoma County’s gay, lesbian, bisexual, transgender, queer, questioning, intersex, asexual, agender, and straight youth and young adults, and educate the greater community.